Copper qualification tester troubleshoots and qualifies Ethernet network cabling speed (10/100/1000/VoIP). CableIQ qualification tester's powerful network troubleshooting capability and intuitive interface enable your frontline technicians to identify and troubleshoot a wider range of problems within your network infrastructure. Is the port active? Are the duplex settings matched? Is it a network problem or a Ethernet cable problem? Can the Ethernet cable support the required network bandwidth? CableIQ network cable tester is the only Ethernet cable tester that can answer all these questions before trouble tickets are escalated to the next level reducing problem escalation by up to 30%. See what speeds your existing cabling can support. CableIQ's four-second Autotest clearly indicates with a check mark which speeds and applications the tested cable can run. Troubleshoot cabling faults in half the time. This screen shot represents a cabling link that did not qualify for 1000BASE-T because of a connection fault at 4.1 meters. Intelligent wiremap tests for length, shorts, split pairs, or opens and displays with an intuitive graphical interface where a fault is located. CableIQ's Intelligent Wiremap shows pin 6 open at far end of tested cable (130 ft/34 meters). Customer quote: "I handed CableIQ to our level III techs, they turned the unit on and began testing within two minutes of reviewing the various available selections." To maximize the value of your CableIQ ownership, choose one of our specialized kits. Each kit is tailored for qualification testing in specific work environments. Read on for detailed descriptions of each kit. The CableIQ Advanced IT Kit is designed to maximize the efficiency of any cable qualification job. Use the included IntelliTone 200 Probe to find cables quickly and definitively, even on active networks. 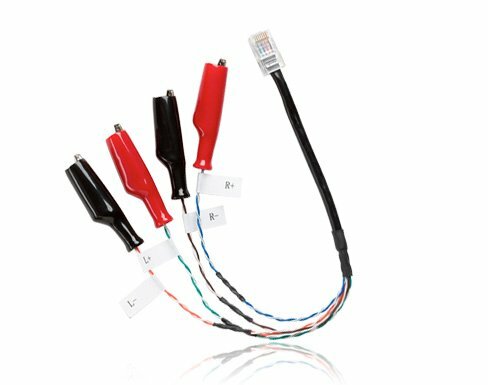 Use the included six smart cable IDs to perform a high volume of qualification tests in a short period of time. Each smart ID has the capability to perform a simple wiremap test or a full qualification test. Up to seven qualification tests can be performed without returning to the patch panel. The rugged carry case can be used to easily transport tools from one job to another. 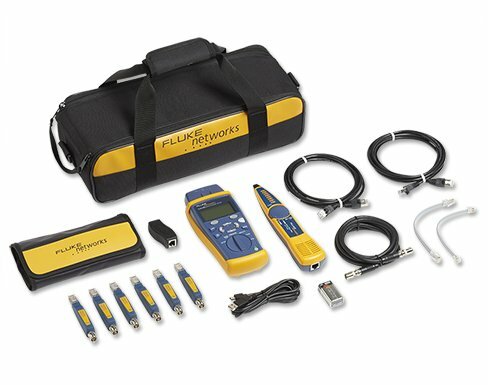 The Copper and Fiber Technician’s Kit is designed for the IT professional that works with both Copepr and Fiber Networks. 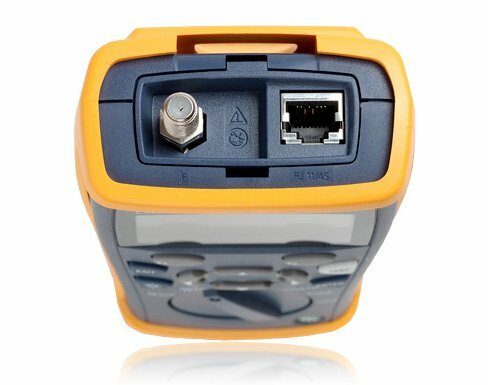 It offers all of the advantages of the Advanced IT Kit but it also provides a way to test and verify your fiber connections with the Simplfiber Pro Power Meter and Light Source. When to use a certification tester: If you're a commercial installer or network owner who needs to prove that all cabling has been installed correctly, and meets TIA or ISO link specifications, you must certify it. If you are in a troubleshooting environment, and need to show unequivocally that the link under test is failing category 5e or 6 performance requirements according to TIA or ISO standards, your only choice is a certification tool. If you have a mixture of fiber and copper cabling, and often need to test both, cable certification tools do that best. Wiremap, length, cable signal performance, digital toner, analog toner, Ethernet port detection and identification, analog telephone detection, blink port light, continuity, speaker test, cable fault finding, video signal detection. 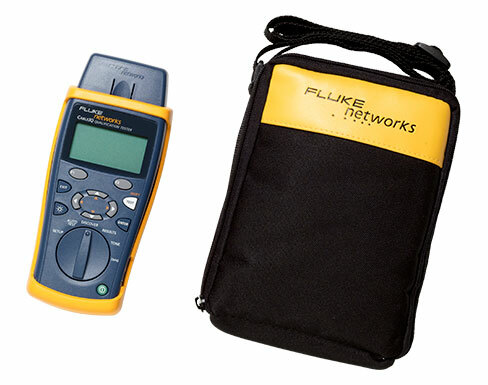 Can detect single wire faults and supports MultiMap mode with up to seven remote office identifiers. Draws proportional wire length to breaks. Detects split pairs. Gold Support for your CableIQ Qualification Tester allows you to make the most of your purchase while ensuring a higher return on your investment. You will minimize your downtime, receive faster trouble resolution and have total access to all support resources. What do you get with Gold Support for your CableIQ Qualification Tester? Repairs and loaner equipment - If your CableIQ should fail, we'll deliver a loaner unit via next business day delivery to keep you up and running. 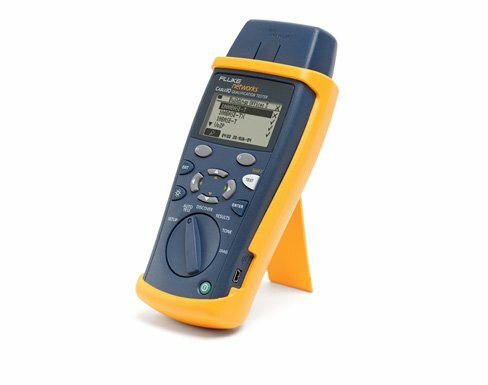 We'll repair your CableIQ and replace defective or faulty accessories at no charge, with first on bench" priority, and return it to you - all shipping paid by Fluke Networks. Access to live 24 x 7 technical support - Extend the expertise of your staff. Gold Support includes direct, immediate telephone access to our world-class Technical Assistance Center (TAC), direct access only available to Gold Members. Our centers in Seattle, WA and Eindhoven, NL employ a full staff of highly trained technical experts that are on call, including weekends and through the night when most network changes are implemented, to answer complex troubleshooting questions helping you get the most out of your CableIQ and understand the results you are seeing. Accessory Replacement - Some accessories are essential to your CableIQ. 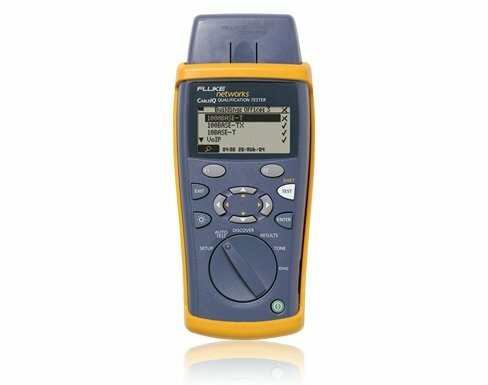 The normal warranty on accessories is 90 days, but parts and accessories that shipped with your tester will be replaced free of charge with Gold Support once qualified as defective by our technical assistance center. Ensure that you are getting the most out of your CableIQ Qualification Tester with Gold Support Services.